Outgoing Board Chair Robert G. Berrin will be honored for his service at Federation’s 78th Annual Meeting on Wednesday, June 1. The community will gather together to also welcome and install Board Chair-Elect Amy N. Dean and to elect and install Federation’s Officers, Board of Directors, Trustees and Leadership Council and Council of Jewish Organizations. Additionally, we will recognize five exceptional individuals for their service to the Greater Miami Jewish Federation and Miami’s Jewish community. 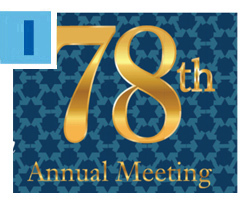 The Annual Meeting will be held at Jungle Island, 1111 Parrot Jungle Trail, Miami. Steven J. Brodie and Isaac K. Fisher are the Annual Meeting Co-Chairs. To learn more about the honorees or to RSVP, click here. Generations of people joined together Sunday night at the Holocaust Memorial Miami Beach, a Committee of the Greater Miami Jewish Federation, for its annual Yom HaShoah program. The more than 1,000 people in attendance honored Shoah survivors and remembered those who perished. Presenters also acknowledged the need to protect and secure the State of Israel and Jews worldwide by recognizing the sacrifices of the men and women of the Israel Defense Forces, as well as service people in our own U.S. forces. "Today the State of Israel is a beacon of freedom to all Jews," Memorial Board Chair Andrew C. Hall remarked. Click here to read more about the event. 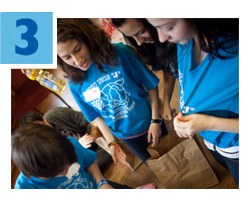 Last year, 10,000 hours of hands-on assistance was provided to community organizations from 2,500 volunteers through the Jewish Volunteer Center, equaling more than $230,000 in paid time. 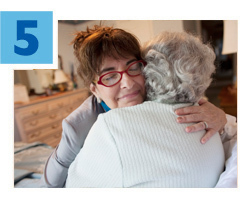 Help increase that number by volunteering with the Jewish Volunteer Center this month at North Dade Gives Back on Sunday, May 15 at Beth Torah Benny Rok Campus. Volunteers are needed to put together summer backpacks for children in need of items for camp. Families with young children are encouraged to participate! Denise Shapiro and Shana Russo are the North Dade Gives Back Co-Chairs. Click here for more information and to sign up. Special bonds were made between teens from Yerucham and Miami during the 10-day, Diller Teen Fellows of Miami Mifgash program. Yerucham teens were immersed in the local culture. Both the Israeli and American teens sharpened their leadership skills, learned about Jewish peoplehood and their Jewish identity. 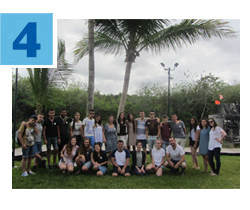 In July, the Miami group will visit Israel. Applications for the 2016-2017 Diller Teen Fellowship Miami cohort are now being accepted for teens entering 10th and 11th grades. 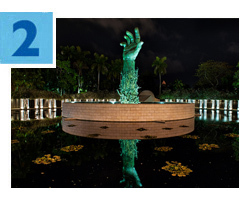 Diller is operated in Miami by the Center for the Advancement of Jewish Education (CAJE), a subsidiary agency of Federation. For more information, click here or contact Carly Orshan, Director of Teen Education and Engagement, at carlyorshan@caje-miami.org or 305.576.4030, ext. 147.